The Waterfall Tank is a simple, yet stunning tank that can be worn beautifully by itself or layered for a more modest look. 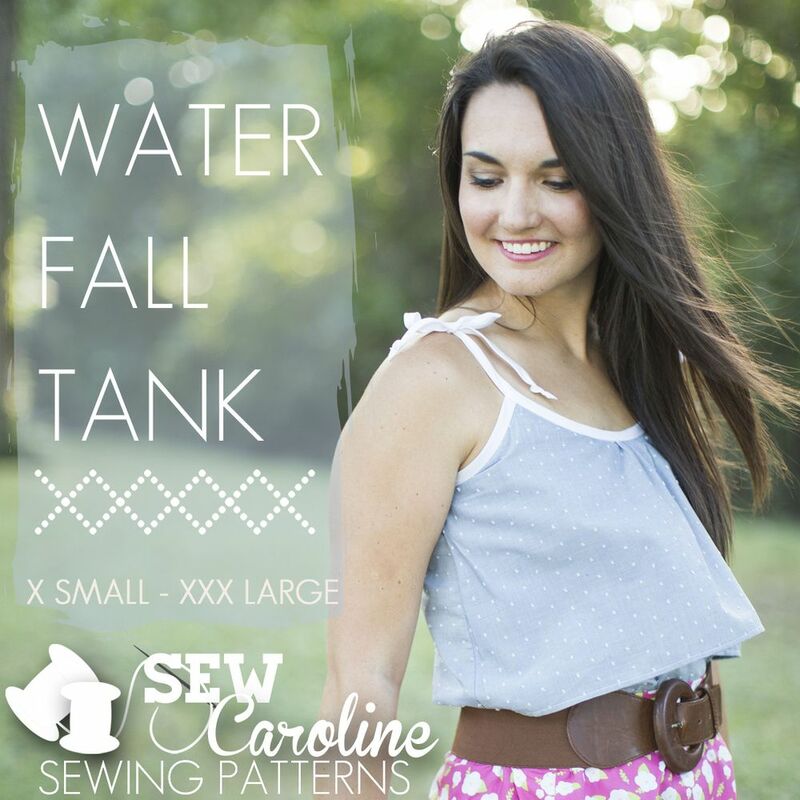 It will quickly become your go-to pattern for the hot, summer season and will transition perfectly into fall! Make it in a lightweight quilting cotton, chambray, or linen for a casual look or spruce it up with a gorgeous silk or voile for a more fancy schmacy appearance. The possibilities are really endless with this loose-fitting, yet elegant tank. 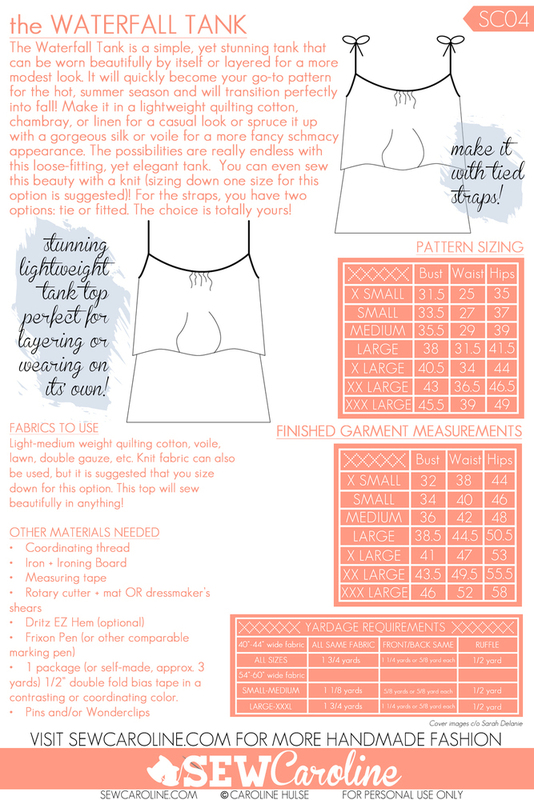 You can even sew this beauty with a knit (sizing down one size for this option is suggested)! For the straps, you have two options: tie or fitted. The choice is totally yours! Fabrics to use: Light-medium weight quilting cotton, voile, lawn, double gauze, etc. This top will sew beautifully in anything!